As the long awaited referendum for Scottish independence makes its way to a vote next week, the rhetoric has become rather emotional with Prime Minister David Cameron saying he “would be heartbroken if this family of nations … was torn apart.” While Cameron’s romantic conception of a united Albion may be unfair to history, his fears are genuine. He would in fact have the legacy of presiding over the loss of one of the most important countries within the United Kingdom, and the effects of an independent Scotland would be much larger than just an empty seat at the dinner table. Economically, the loss of Scotland will be something that neither the Scottish nor the United Kingdom are prepared for. The Scottish believe that they will be able to use many of the profits of the oil in their region for economic independence, however they will need to diversify if they intend to survive in this climate. This is not to say however that the Scottish have no economy other than oil, but much of it will be need to be rehabilitated with the loss of their status as a member of the UK and more broadly of the European Union. The renegotiation of trade agreements, ownership of state resources, monetary policy, will have a great effect not just on Britain, but on the entire continent. The inclusion or exclusion of the pound in Scotland will have drastic effects on the financial experiences of Britain. While Scottish Minister Alex Salmond has claimed that “it is our pound and we are keeping it,” it does not seem that those at Westminster are in favor of the idea of a shared currency, and why the Scottish would want to cede so much of their newly gained by power back to London would be bewildering. If the pound fails to be a valid path, then Scotland will be required to produce their own form of currency until they have the possibility of using the Euro. In addition, major financial organizations like the Royal Bank of Scotland may leave an independent Scotland in favor of a more secure London. Fortunately, for Scotland their smaller population may be an asset as they try to organize a new economy, one that already has GDP of around 200 billion, with a population around five million or so. 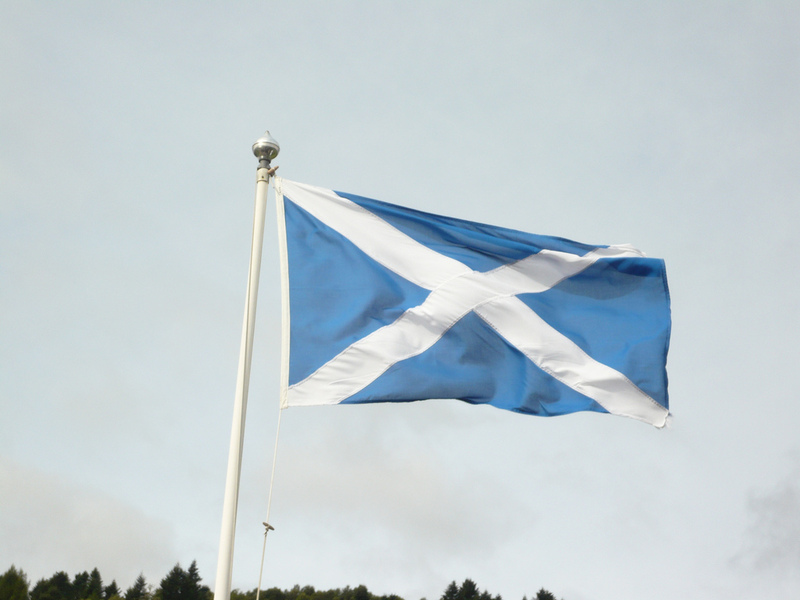 An independent Scotland will undoubtedly attempt to join the European Union. While there should not be too much doubt about their inevitable acceptance, to think that it will be an expedient process puts an unwise faith in the efficiency of bureaucracy and political realities of that organization. In the short term a separate and independent Scotland will have to deal with a complicated and problematic relationship with movement on their southern border, regulating areas that previously have been fairly permeable. Until Scotland joins the EU, how will Westminster and Edinburgh handle the question of the border? It is indeed the Welsh however who could suffer the most from a separate Scotland. A ‘yes’ vote could be helpful for the idea of Gaelic independence, as demonstrated by Welsh Nationalist party Plaid Cymru’s support of an independent Scotland. It would lead to a very lonely Welsh presence in Westminster. The Welsh, who have already been marginalized historically by the English, will be hard pressed with the absence of Scotland. It is here that the reactionary forces within England will be able to achieve their greatest victories without Scottish presence; the dissenting Welsh will only be joined by the group of Northern Irish MP’s who do not abstain from voting in Parliament. Figures like David Cameron and Jeremy Clarkson who favor the status quo may in fact be making the most compelling argument for Scottish independence, however. English arrogance is unfortunately responsible for many of history’s horrors, not only against those around the world but within Britain as well. The persecution of Gaelic peoples by England goes back over a thousand years, but is evident in recent history as well. Consider, in the Welsh case, the flooding of Capel Ceylen for the profit of Liverpool in 1965. The Scots may see this as an opportunity to leave a union where they have had to contend with conservative neoliberal babble coming from London, and no one can fault them for wanting to leave. The most dangerous consequence of the September 18th referendum may not be an independent Scotland, but for the world, an independent England.